Hosting Yorkshire now offer on-site or off-site data backup servers and cloud storage. With our bespoke custom built HyperX dedicated servers, we can provide you with a powerful, fast and reliable storage server for your backup, email, web hosting or cloud storage. Cloud Storage, Dedicated Server or Both? Our Cloud Storage service gives your business and its staff the ability to use, backup or save your business data files and documents from any location whether in the office, on your smartphone, laptop or tablet. You can use cloud storage on the move such as on the train, while away on holiday or a business trip. The Hosting Yorkshire cloud storage platform runs on our custom built HyperX range of dedicated servers which can use a Desktop sync client, web browser or iOS/Android app to access your data. We build our own hardware and servers, as well as configuring them and installing the software at your business premises or in our own Data Centre. This means we can offer cloud accounts from our Data Server, install your own dedicated or NAS storage server on-site at your business premises. Or even provide a combination of these solutions by leasing a dedicated server plus cloud software from our Data Server, or building a dedicated backup rack cabinet server to your requirements for you to own. The latter can then also be used for Cloud storage when you or your staff a're away from the office. 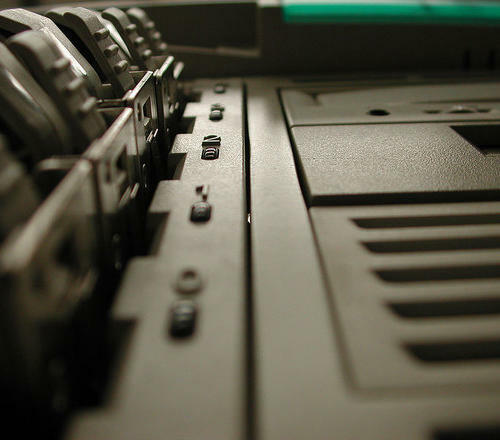 Contact Simulant now about ordering your Data Backup Server for a free no obligation quote and we'll advise the best hardware and specifications for your exact business backup requirements.